I am petrified of wasps and September always fills me with dread as the cooler weather encourages those flying yellow and black stinging machines to start interacting with humans as they become more and more drowsy, drunk and bad-tempered. While I’ve never been stung by a wasp, the thought that it is possible to die from an allergic reaction to a sting is enough to send me running for cover as soon as one approaches me. With three young children around, I don’t want to use chemical insect repellents, so here are six natural ways to try and keep wasps away. Leave out slices of cucumber. They have an acidic property that wasps really don’t like. Grow mint. Wasps don’t like minty smells, so grow mint in your garden or sprinkle your picnic table with mint leaves. Wasps also hate the smell of eucalyptus, so add a few drops of eucalyptus oil to cotton wool or a handkerchief. Create a fake wasps nest out of crumpled newspaper of a brown paper bag and hang it from the outside of your house or a tree. 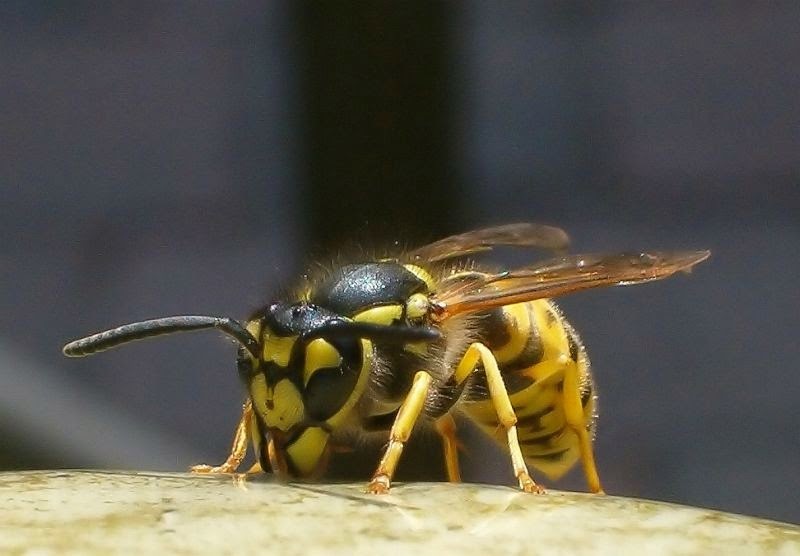 Wasps are territorial and if they think there is already a colony in your garden, they will keep away. Make a wasp trap by cutting a plastic bottle about two thirds of the way up. Fill the bottom third of the base of the bottle with soapy water. Then smear some jam around the top of the bottle and turn it upside down so the neck of the bottle is inside the base. The wasps will head towards the jam in the neck of the bottle and then fall into the soapy water and die. Look dowdy and ditch the perfume. Wasps are attracted to bright colours and nice smells. So if you’re making the most of the last of the summer sunshine and wearing a lovely bright outfit and have spritzed yourself in your favourite eau de toilette, you’re a wasp magnet. Stick to darker, dull colours and enjoy your au natural aroma. If you need to add a splash of colour to your outfit, wear red as this is one colour wasps can’t see. And if you’d rather wear some sort of scent, why not rub some cucumber slices into your skin? If you can add any other natural wasp deterrents, please share them. The more ammunition I have, the better!